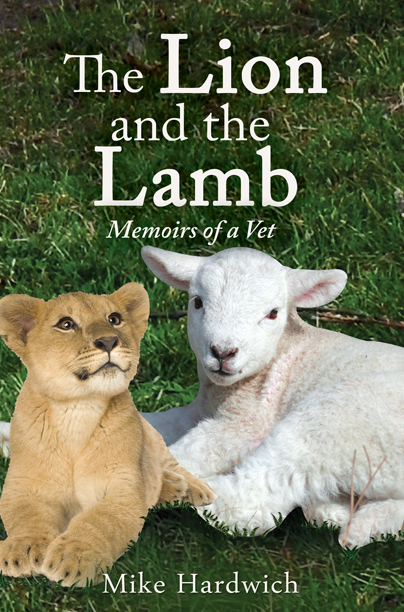 Normally I wait to finish a book before voicing my thoughts, but I am loving The Lion and the Lamb – Memoirs of a Vet so much, that I simply cannot wait. Mike Hardwich, the author, is both a vet and a farmer, who originally practised in Pietermaritzburg, but now practises at The Heritage Vet in Hillcrest. So far I have read about the first orang-utan birth in Africa, a C section of a marmoset, complications with farm animals, the world of racehorses and their crooked owners, the anaesthesia of a fruit bat, and an introduction to Mike’s family’s pet menagerie. In places it is laugh-out-loud funny, and in others incredibly sad – just quite wonderful. The book retails at R174 (inclusive of postage) and can be ordered directly from The Heritage Vet. Their email address is office@heritagevet.co.za. Just finished my best read this year , the lion and the lamb . I recommend this book for all ages. Easy to read , interesting , exciting and honest . The type of book I would happily give to my grand children or recommend to a work colleague . Thank you Sir for making my week ! Yes, Eric, I agree with you and love the book! It is not easy to find a book that one can recommend to children these days – I have two grandchildren in Kennewick, USA, who are reading and books are few and far between that I can send them for presents. I know the author and his stories are 100% authentic. Thank you for the kind words. When my Editor, Cathy leotta and I set out to do this book we made a conscientous decision to make it exactly what you describe Eric and I thank you – we set out and achieved our goal.